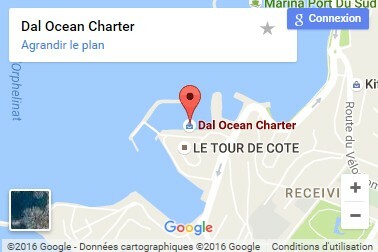 - You are CRUISERS (P&O cruise, Carnival, Royal Caribbean cruise).... Departure point at City Ship Terminal (150 meters). 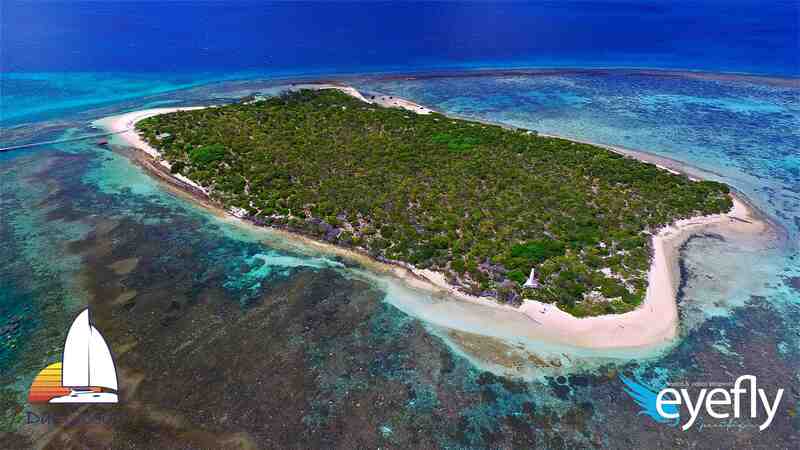 Let’s go to discover a wild side island from Noumea called "SIGNAL SLAND"
SIGNAL ISLAND is the largest true coral cay 244 hectares (603 acres) on the New Caledonia south lagoon with 13,5 hectares (34 acres) surrounding reef, just 30 mn by our water taxi from Noumea (cruise ship Terminal). This uninhabited Tropical Island surrounded by pristine white sands beach is often compared to Whitehaven beach in the whithsundays (Australia). SIGNAL ISLAND and his magical coral fringed lagoon is the perfect location to explore New Caledonia's Southern lagoon first hand. You don't need deck chair. 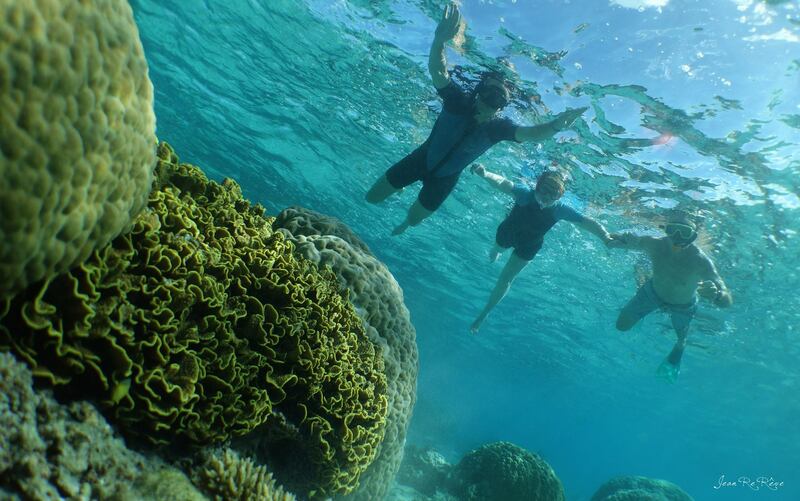 SIGNAL ISLAND reef is home to over 1300 varieties of tropical fish and 350 species of colourful hard ans soft coral.The reef is a protected green zone and has never been fished and therefore offers an abundance of large and rare marine life. 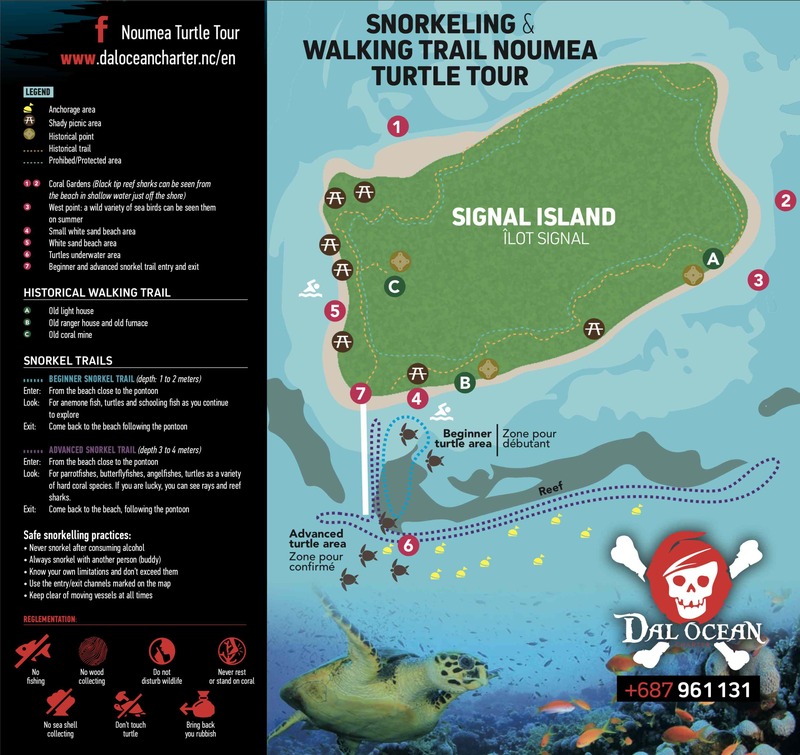 Swim with the turtles at Signal Island, snorkel all year round without stinger suits in this unique, protected reef island. 9.00 AM / 10.30 AM / 11.30 AM : departure from the cruise ship terminal to SIGNAL ISLAND, with the water taxi. This is an uncovered boat : plan sunscreen and clothes to protect you from the sun. You will receive some water but we have all the equipment to protect you. Water will splashing on your face but we have all the equipment to protect you. This tour is reserved for peoples under 70 years old and in good physical condition. 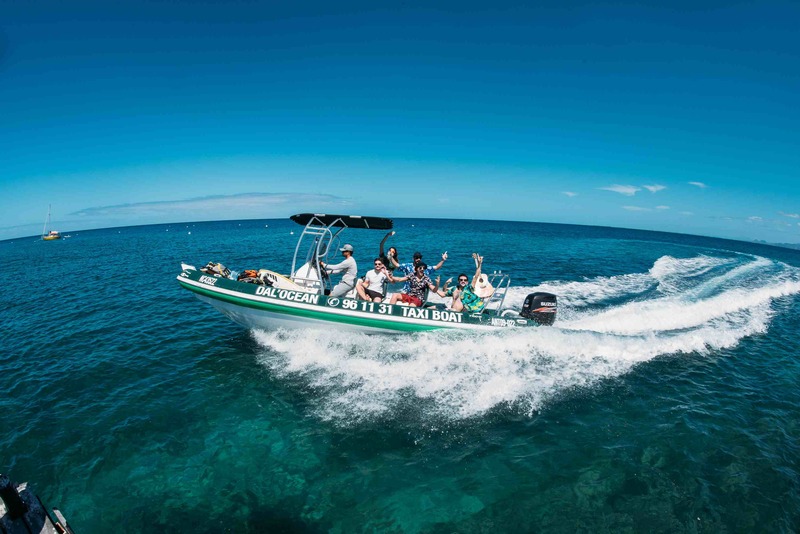 It's a physical inflatable boat ride to go to the ISland, you will be shaking on the boat. 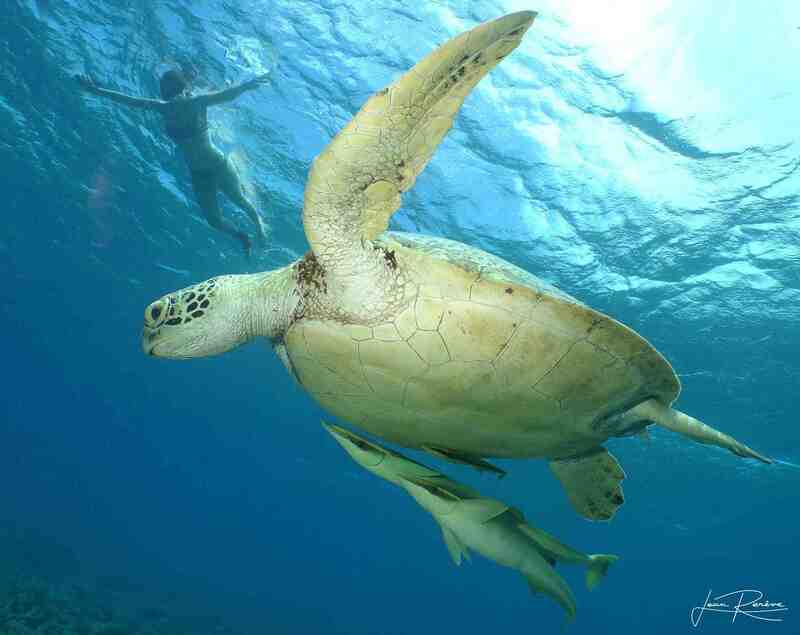 From 10 AM to 12.50 PM / 11.00 AM to 1.50 PM/ 12.00 AM to 2.50 PM : enjoy white sand beaches and Swim with the turtle. 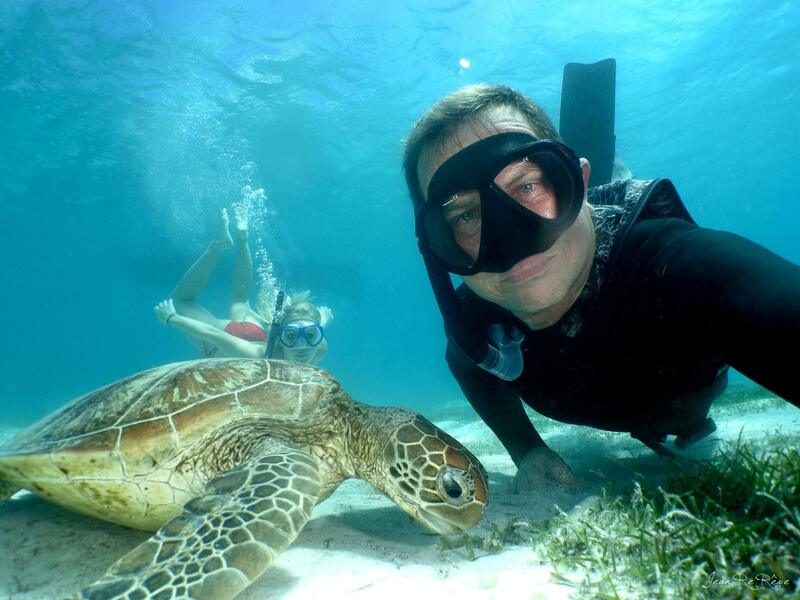 You can also observe colorful marine life along coral reefs, with your equipment and personal instruction from your skipper (if you need we can provided you mask and tuba). 1 PM / 2 PM / 3 PM: come back to Noumea . It will be better if you can take you own snorkeling gears. We can provide you snorkeling gears and floating noodles if you ask us. If you are staying in hotel, we just need the date, name of your hotel, numbers of passengers, we will come back to you with procedure to book and all the information request. We guarantee you to be back minimum 2 hours before your Cruise Ship departure, there is no risk to missing your cruise. 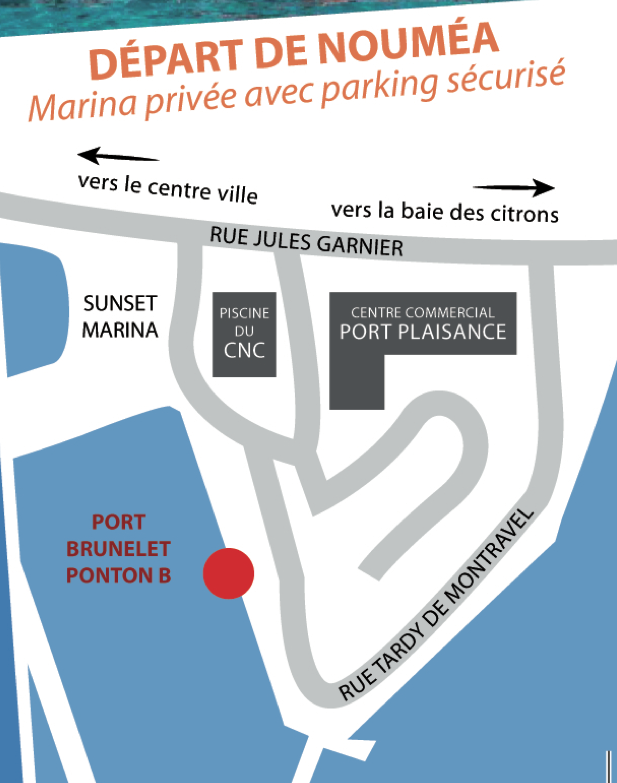 In case of technical problem, we have many Water Taxi available to pick you up on your boat and bring you back on time at Cruise Ship Terminal.